We're here today to mourn the loss of a very important part of my life. Ikea's Kramfors modular sofa has been discontinued. The teal color I chose for my Kramfors. Usually, I'm a "retroist" of sorts. I've slowly gotten rid of all my modern furnishings in favor of only vintage pieces. But the Kramfors was different. It was perfect. No, I never owned the Kramfors. I never had such an honor. But I did dream about the sofa almost everyday. I imagined myself sitting on the sofa, wrapped in it's teal goodness, snuggling in the corner seat. I thought about it's many color choices and how much fun I could have dressing up my Kramfors to match my ever-changing paint colors. About once a month, Jerome and I would go to Ikea and sit on the sectional in different poses, oblivious to the crowds of customers bustling around us. We'd bounce happily from seat to seat, thinking of all the fun parties we would have and how full our Kramfors would be. I check the Ikea website often just to catch a glimpse of the Kramfors. That's how I discovered that my Kramfors bookmark no longer worked. I googled around forever trying to find what happened to the Kramfors. After finding no info, I called Ikea directly. As it turns out, the Kramfors fabric series has been discontinued and they no longer carry the full leather version of the sectional. The lady on the phone warned me that there are just two full sectionals left in the state of Massachusetts and that if I want to own the Kramfors, I'd better act fast. To sweeten the deal, she told me that the couch is on sale and I could have the whole sectional - two love seats and a corner seat- for just $1060. Unfortunately, even at that unbelievably awesome price, I can't afford to make such a big purchase right now. So for now, I mourn the loss of my Kramfors and wait for the day one pops up on craigslist. RIP Kramfors. I'll always think of you. I know, I couldn't believe it when I heard they were discontinuing kramfors! I know how you feel, I have been coveting these couches for a while. We went to our ikea here in AZ on Sunday and got the last sofa and love seat frames they had(I had originally wanted the sectional too). I chose turquoise too, maybe I should stock up on some more covers! At IKEA today I saw the dreaded white and red tag adorning the corner of each of the remaining leather Kramfors pieces I saw. I went and sat in the one in my favorite display room. Standard couch size, black leather, depressing discontinued tag. I noticed the fabric ones were disappearing, but it looks like this is it for all of them. Next week I'm going back. Next week I'm bringing it home. I'm glad someone else feels my pain :) I figred they'd keep the leather around...I wonder if the Kramfors chairs are going to say. My husband loves those...he calls them his captain chairs! I was able to purchase one. 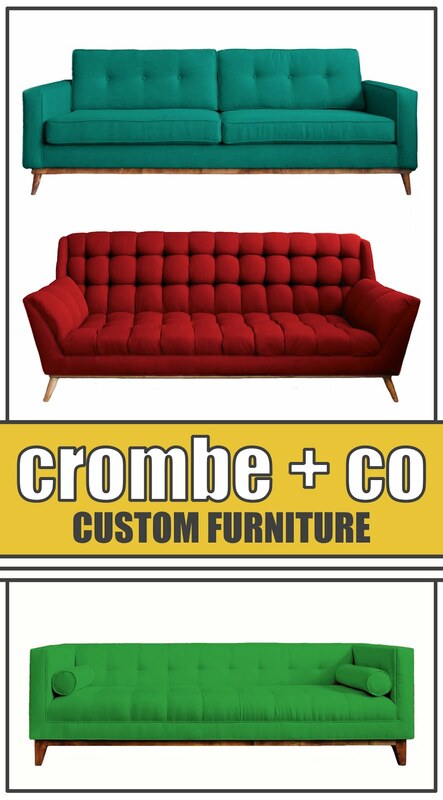 Not the combination I wanted, I was able to get the brown corner sectional with the chaise. 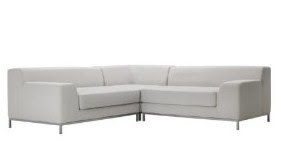 Does any one have any ideas for a chair to use with this sectional? Since it's on the low side I am drawing a blank. I love a (GASP) imitation wassily chair I saw online at Target. However my apartment is soooo dark (two black brown billy bookcases and three black brown cd/DVD towers and dark brown kramfor). I wish to find a chair that under $300 that is modern and is easy to keep clean, as I have two very energetic active toddlers. Any ideas? I also checked out the chairs at Pier 1, they have a few on sale, but nothing I thought would go with my furniture. I would greatly appreciate your suggestions. Hi Eve. You're definitely lucky to have scored a Kramfors before they were all gone! If you want to go the Ikea route for your chair, I'd try the Karlstad in orange (http://www.ikea.com/us/en/catalog/products/70117761) or the Tirup chair in yellow (http://www.ikea.com/us/en/catalog/products/30120077). Both are above $300 but I considered them when I was looking into the fabric version of the Kramfors. Plus they're fun and bright to liven up your darker room. If you don't mind, I'll put your question in a post so readers can send in suggestions. Do you have pics to share? I have the Kramfors. Nothing has such a configuration. I looked forever until I found this. Bought 2 left and 2 right and made really long couches that make a "pit" for movie night or slumber parties. 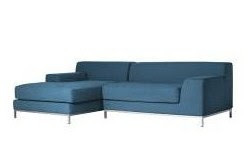 (Most sofas aren't angular enough.) Can sit on backs or arms and put down a drink there, too. (Others too narrow or poufy.) Kids can't pull of the cushions so much. Perfect design for us, despite the laminated leather. I hope they make it in the thick matte leather in colors and bring it back. I'd get another. Love the idea of having a "pit" of sorts. Very retro! Should you ever decide to sell yours on ebay or craigslist, I'm pretty sure you'd have a mob of people willing to buy them from you. I agree with you, the arms are perfect for sitting or resting drinks. We need to start a petition letter to bring them back!